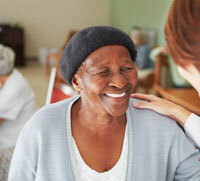 When patients’ spiritual needs are met, outcomes improve. But that began to turn a-round when representatives from the hospital’s Arts in Medicine program helped the patient – who turned out to be a talented artist – launch a project painting birdhouses, which she gifted to her young daughter. Since her physical pain had been intensified by the emotional pain of knowing she’d leave the little girl mother-less, the project helped alleviate it so much that she required fewer medications from there on out. “You can give morphine or whatever, but for some patients, there is no amount of medicine that will control their pain – it’s existential, spiritual, emotional; it comes from other things,” Kittelson says. Indeed, research shows that spirituality – which can be defined as anything that gives peoples’ lives meaning, be it faith, family, nature, art or even sports – is a patient need that affects health care decision-making. When spirituality is tended to, it can improve patient outcomes including quality of life and can reduce the cost of care. When spirituality is neglected, on the other hand, patient suffering can intensify. ‘Let me sleep. Keep my room clean. Listen to me.’ Sound familiar? Health care institutions are catching on to the benefits of incorporating spirituality into medical care. In 2009, for instance, a group of leaders in the field developed research-backed guidelines for better implementing spiritual care in palliative care practice. The guidelines recommend, for instance, that providers use evidence-based spiritual screening tools that prompt them to ask questions like “Are spirituality or religion important in your life?” to help them determine who might benefit from a more in-depth assessment. The guidelines also encourage spiritual providers to document spiritual needs in patients’ records, which teams can then use to inform their treatment plans. Feel like duking it out? Here’s how to cope. Until all hospitals have such well-executed spiritual care, however, patients need to be prepared to discuss their spirituality or values with their health care team – even if they aren’t facing terminal illnesses, aren’t offered a visit from a chaplain or aren’t asked about their beliefs during a hospital stay, experts say.